This is a photograph of resident and visiting doctors and surgeons at the Beaufort War Hospital during the First World War. 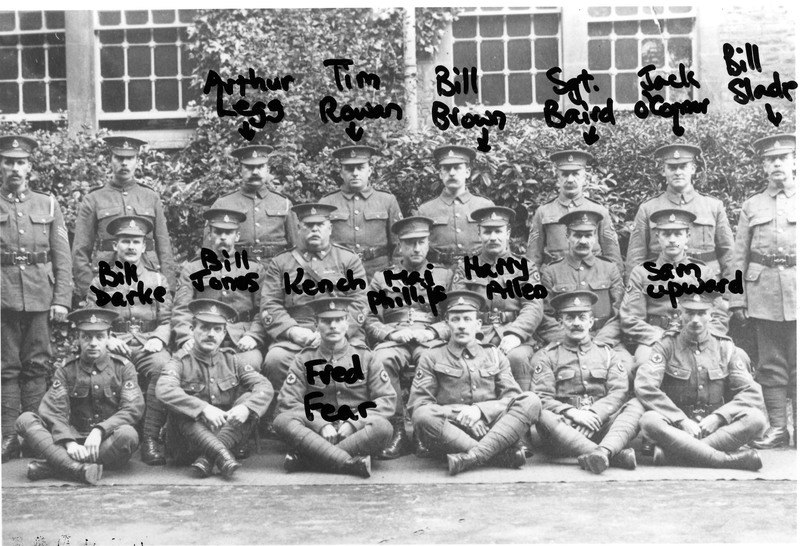 We have identified some of the people in the photograph but sadly not all of them. 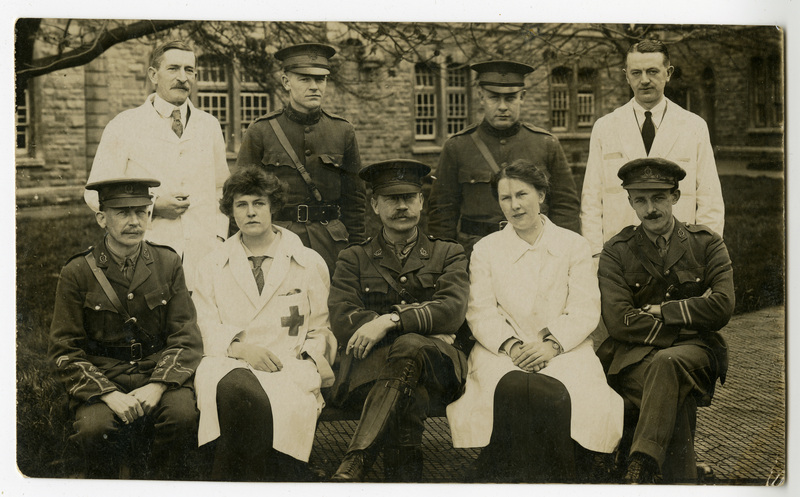 Major Hey Groves (centre of photograph) set up the orthopaedic centre at the Beaufort, which became a world leader in innovative surgery and treatment. Ernest William Hey Groves was born in India in 1872. When his father retired the family settled in Bristol. He trained at St Bartholomew’s, London and became an outstanding teacher of surgery. His early interest was in obstetrics, and opened a private hospital in his own home with his wife, Frederica Anderson, who had been a nurse. In 1905 he became a Fellow of The Royal College of Surgeons and was elected onto the staff of The Bristol General Hospital. Groves’ father was an engineer, and was interested in the ‘mechanics’ of bone and joint surgery. During the First World War he set up the Military Orthopaedic Centre at The Beaufort War Hospital in Bristol and was a prolific author of medical text books, some of which are still used today. He was charismatic and unique character, doctors and surgeons from all over the world visited Beaufort and Bristol to observe and learn from his practice.